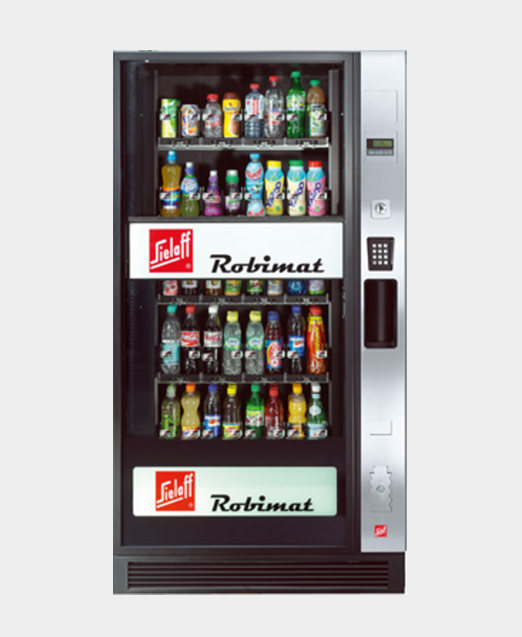 The Robimat 99 is the right machine for every location and every need.With the option of selling up to 64 different drinks, the Robimat 99 has fantastic capacity for busy sites. Tiltable product containers in two sizes (max. Ø of products: 86 mm) designed for easy filling. An innovative lift system with large advertising potential and programmable promotion run delivers the product virtually without shaking. Energy rating of A++. The internal cabinet is fitted with LED-lighting and insulated glazing.